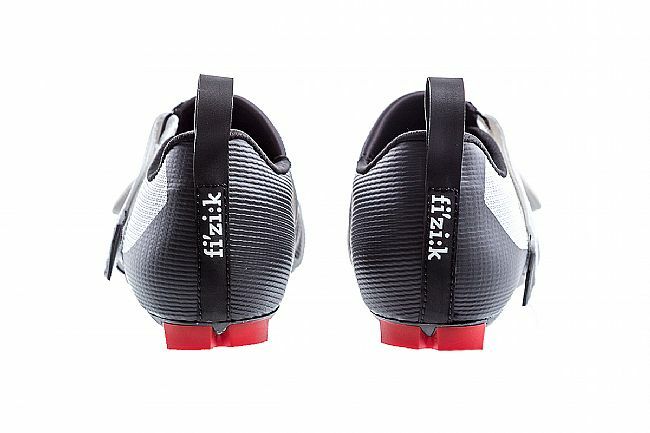 Earn $20.39 in VIP credit (2039 points)What's This? 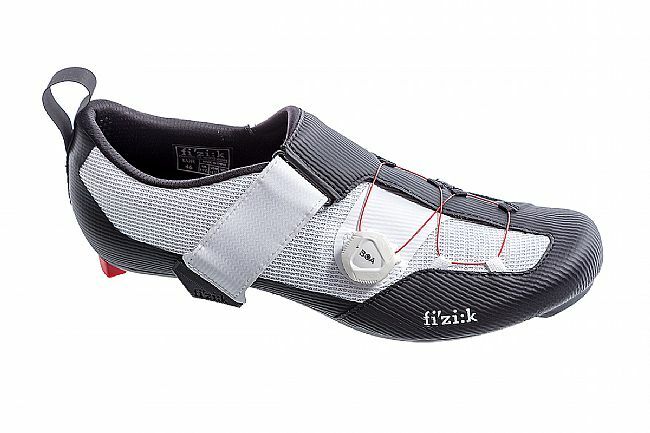 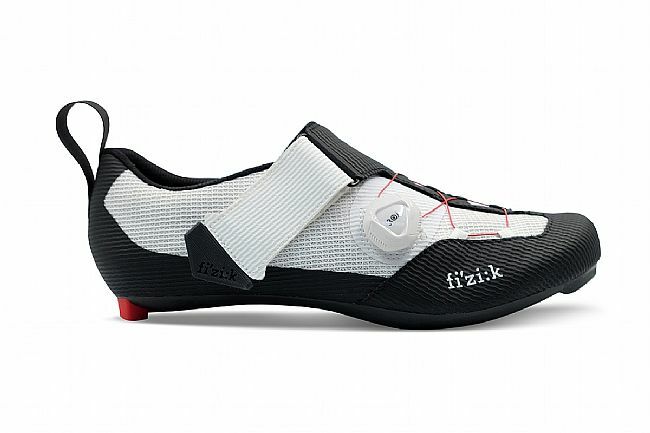 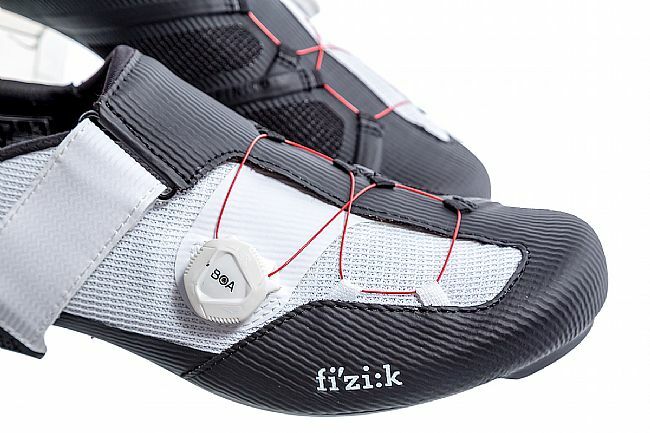 Fizik's Transiro R3 Infinito Triathlon Shoe features a mesh upper that's highly breathable and supportive thanks to PU lamination on targeted areas which ensures power is efficiently transferred to the pedals. 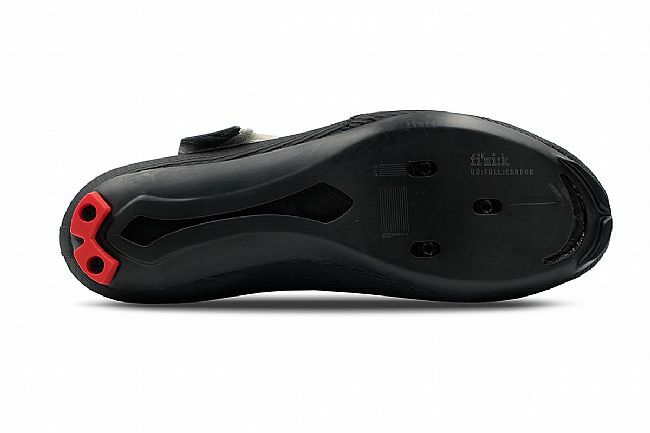 The Volume Control system allows a differentiated fit adjustment for the instep and forefoot areas. 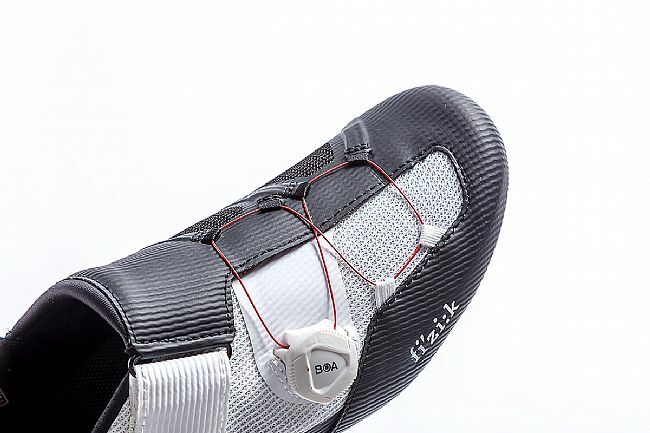 The combination of a Powerstrap and a BOA dial yields the ideal balance: quick and secure closure, and fine tuneable adjustment. 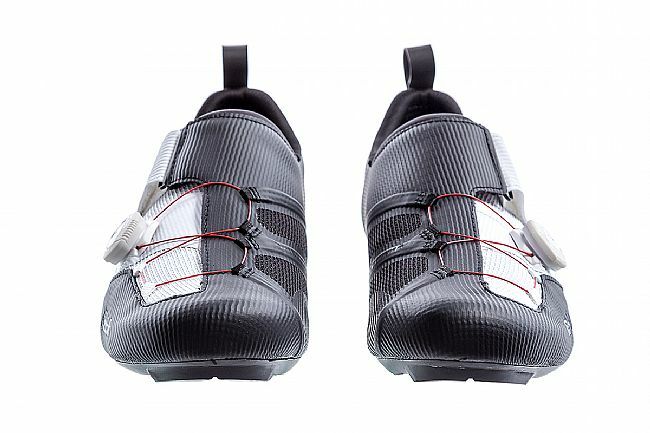 The volume of the forefoot area can be controlled via the Infinito which balances out the tensioning and further eliminates pressure hot spots by using textile webbing in place of plastic lace guides. 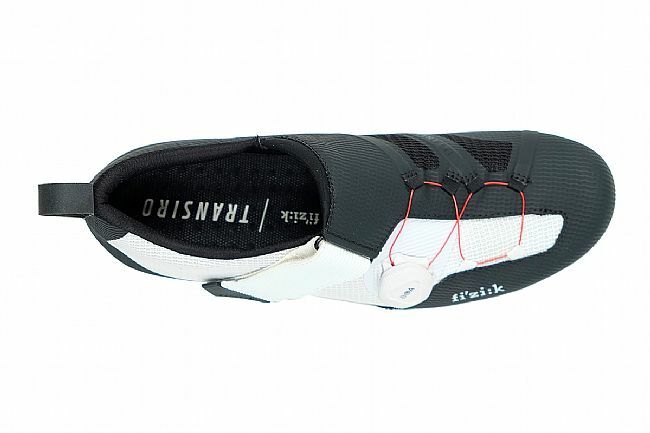 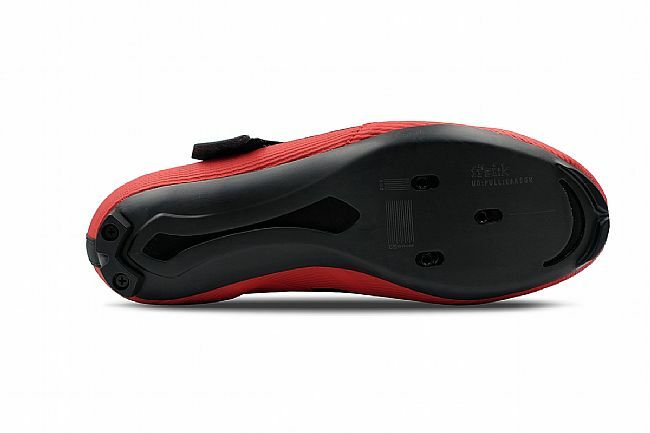 This closure system acts on a larger area of the shoe’s upper, pulling the eyestays inwards consistently from all directions for a more supportive and comfortable fit. 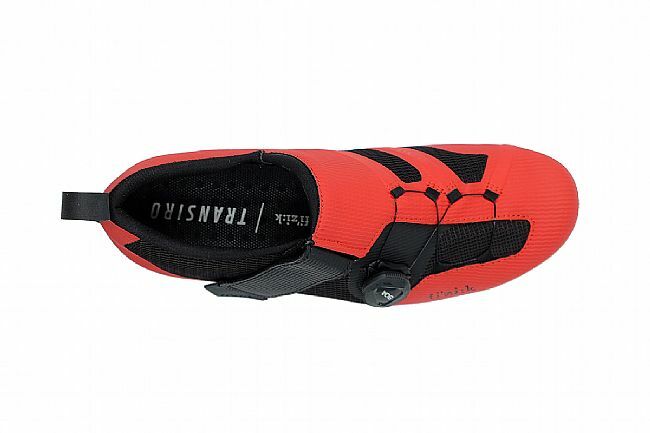 Breathable and supportive PU laminated mesh upper. 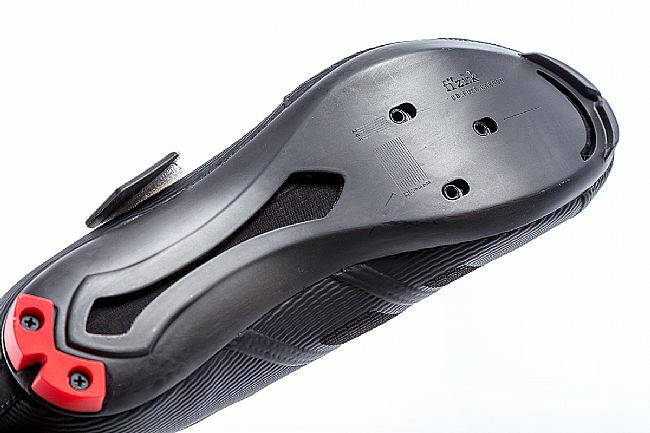 Highly stiff R3 full UD carbon outsole. 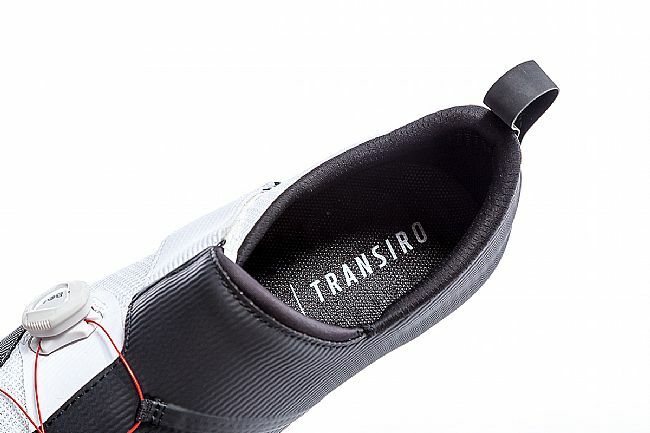 Intuitive, quick, and secure Instep Powerstrap closure. 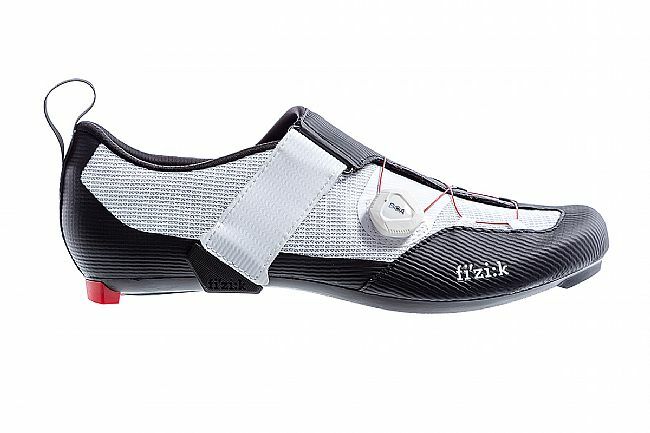 - Weight: 476g (size 42).